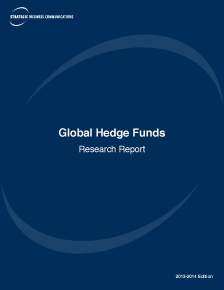 A comprehensive research report detailing all major hedge funds in the United States, Europe and Asia-Pacific. Extensive coverage and analysis of the market with full profiles of all hedge funds and managers including detailed contact information, as well as profiles of service providers to the sector. Distribution: 4,500 qualified executives involved with alternative asset allocation, including senior asset management and wealth management decision makers.